You are here: Home / Great Deals / Magic Bullet 11-pc. Blending System Only $25.49! Magic Bullet 11-pc. Blending System Only $25.49! Check out this great deal! 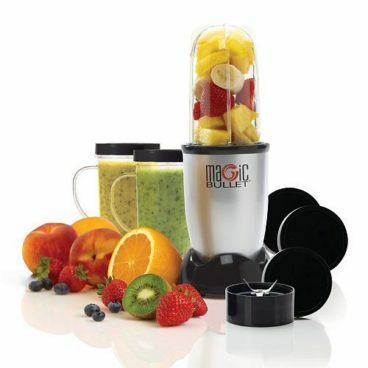 Get this Magic Bullet 11-Piece Blending System for only $25.49! Down from $60! The system is on sale for $39.99. Use Promo code SCORE to get $10 Off when you spend $30 or more and promo code SUMMERDAYZ to get 15% Off your order! Get FREE Kohl’s in-store pickup if you can or get FREE shipping on orders over $75! This is going to go fast, so snag your deal now!